Biography of Olusegun Obasanjo and Net-worth – 2018 Latest Update. Biography of Olusegun Obasanjo…. Who is Olusegun Obasanjo? 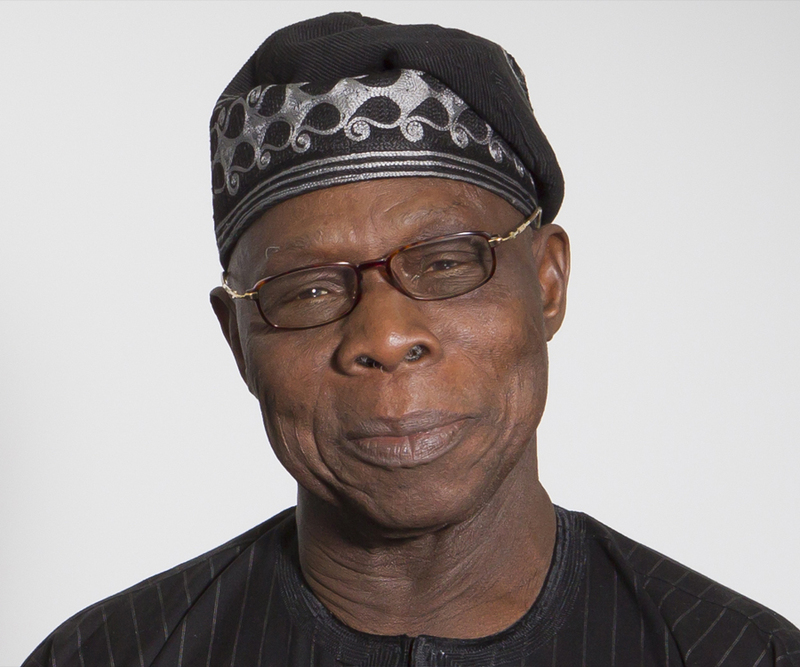 Biography of Olusegun Obasanjo and Net-worth around the globe. This page will get you covered. Read on. Olusegun Mathew Okikiola Aremu Obasanjo, GCFR, born 5 May 1937 is a former Nigerian Army general who was President of Nigeria from (1999-2007). Chief Obasanjo was a career soldier before serving twice as his nation’s head of state. He served as a military ruler from 13 February 1976 to 1 October 1979, and as a democratically elected president from 29 May 1999 to 29 May 2007. Chief Olusegun Obasanjo was born on 5 May 1937 to his father Amos Adigun Obasanjo Bankole and his mother Ashabi in Abeokuta, Ogun State, Nigeria. His mother died in 1958 and his father died in 1959. He became an orphan at the age of 22. In 1948, Obasanjo enrolled into Saint David Ebenezer School at Ibogun, for his primary school education. From 1952 to 1957, he attended Baptist Boys High School (BBHS), Abeokuta, for his secondary school education. In December 2017, Obasanjo defended his Ph.D thesis at the National Open University of Nigeria (NOUN). He now holds a Ph.D in Theology. Chief Olusegun Obasanjo joined the Nigerian army in 1958. Some of his studies and training includes: Mons Cadet School, Aldershot, England; Royal College of Military Engineers, Chatham, England; School of Survey, Newbury, England; Indian Army School of Engineering, Poona; Royal College of Defence Studies, London. Obasanjo served in the 5th Battalion of the Nigerian Army in Kaduna and in Cameroon between 1958 and 1959. He was commissioned Second Lieutenant in the Nigerian Army 1959 and promoted a Lieutenant in 1960. At the rank of Lieutenant, Obasanjo served in the Nigerian contingent of the United Nations Force in the Congo (formerly Zaire, now Democratic Republic of Congo) in 1960. He later joined the then only Engineering Unit of the Nigerian Army and became its unit commander in 1963. In 1963, Obasanjo was promoted to the rank of captain, in Nigerian Army. He was attached to Indian Army Engineering School, at Kirkee, India in 1965. That year he was promoted to the rank of Major. In 1965, he attended the Defence Services Staff College Wellington, India (In a book, the 40th anniversary book on the Defence Services Staff College, Wellington, India, 1947-1987, Col. R.D. Palsokar (retired) quoted the commandant’s confidential report on the then Major Obasanjo of the 20th staff course set in 1965, as saying that he was “the best officer who was sent up till then from that country (Nigeria) to Wellington. Palsokar also stated: “He was particularly popular in all circles). Obasanjo’s colonel promotion came in 1969. He was appointed from 1969-1970, general officer commanding 3rd Infantry Division, Nigerian Army. He was later made the commander, Third Marine Commando Division, South-Eastern State, during the Nigerian Biafran Civil War. Olusegun Obasanjo’s net worth has grown significantly in 2018. However, the numbers vary depending on the source. His net worth is estimated to be in the range of approximately $ 1.8 billion. Obasanjo is a farmer and has the largest poultry in West Africa. His farm is called “Otta Farm” and he is responsible for employing more than 6,000 Nigerians.